Over the past six months, two promising ramps have been built on either side of the train tracks adjacent to Schuylkill River Park. Now, we have learned that the truss which will turn two lonely ramps into one happy bridge is arriving this week! The truss is en route from Minnesota and is set to arrive sometime late Wednesday night or early Thursday morning. Rockport, the Streets Dept. contractor, is expecting to take about one hour to assemble bridge. It will then be set into place Thursday morning between 8:30 and 9:00 AM. If you like watching big things being built, this will be a great viewing and photo opportunity! Philadelphia Departments of Streets and Parks & Recreation is pleased to announce the delivery of the new Truss Bridge that will soon connect the Schuylkill River Park between Spruce and Pine Streets to the Schuylkill River Trail. Truss bridge is scheduled to arrive at the project site on late Wednesday night into early Thursday morning. Bridge will be escorted to the project site by Philadelphia Truck Enforcement unit and transported on two (2) oversized hauling trucks. In order to safely make the move, temporary parking restrictions will be posted along the trucking route, and will be effective from Wednesday, May 2nd at 10pm through Thursday, May 3rd at 7am. No parking signs will be posted at the intersections of Washington Avenue and 22nd Streets and 22nd and Locust Streets, as well as along Locust Street between 22nd and 25th Streets. The Connector Bridge is being built as a result of an agreement that the City signed with CSX in 2007. As part of the agreement, CSX agreed to allow the two street level crossings to be legalized and remain open. 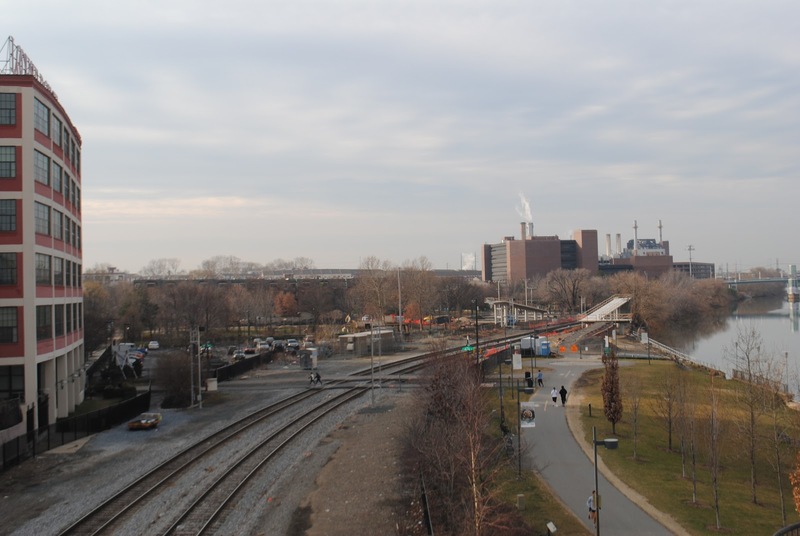 The crossings at Locust and Race Streets are among the first protected pedestrian - freight track crossings in the U.S. and have been an integral part of the success of Schuylkill Banks, which attracts 900,000 users a year. The Connector Bridge is one of seven trail segments being built with funds from the federal TIGER (Transportation Investments Generating Economic Recover) grant that the City of Philadelphia secured in 2010.